Yet, as we see in a new paper, not everybody likes it hot. Mota et al. (2014) have described the relationship between the thermal environment and in situ molecular heat shock response (HSR) is investigated at microhabitat scales. Usually, we study environmental change over large temporal and/or geographical scales. Yet, microhabitat thermal conditions may be just as important. 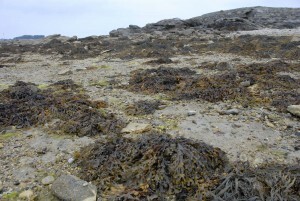 Four distinct patches are described in the intertidal fucoid Fucus vesiculosus from a southern range edge population: canopy surface, patch edge, subcanopy and submerged channels. These four patches, or microhabitats, had distinct thermal and water stress profiles during low tide emersion. And, in fact, the range edge population studied has become extinct. Perhaps surprisingly, the top of the canopy, which is the hottest and driest patch, was the most benign for this species of fucoid. Rapid desiccation may result in a metabolically inactive state in which fronds can’t respond to thermal stress and are thereby protected. HSR data, accompanied by meteorological and microenvironmental thermal data, indicated that the maximum HSR is met or exceeded at low tides over much of there year, even during daytime immersion in summer. This is critical, as it will prevent fucoids from recovering from thermal stress due to continual HSR even at high tide. 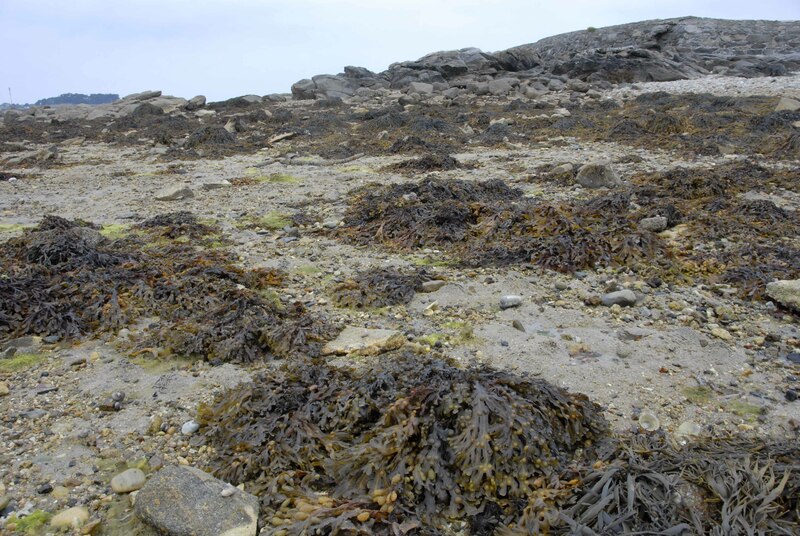 The other important result from this study indicated that microhabitat scales in intertidal zones might best explain the impact of climatic changes. This entry was posted in adaptation, natural history. Bookmark the permalink.